Its been a great week for both the Tradetobefree and Investtobefree strategies. It was a home run for us using both strategies. But that is now in the past. Today I want to talk about getting ready for the huge opportunities that will come up immediately after the dozens of big earnings surprises that are coming up in the days and weeks ahead. But first I want to give you a background so you understand how proven and powerful this strategy is that I am about to teach you. So over the past couple of years I took the time to test shorter-term trading strategies for more volatile markets. While I was swing trading the strategies taught on the site, I was also learning and testing dozens of day trading strategies just in case we were faced with a sustained down-trending market. While being very profitable, swing trading also gives you plenty of time to do other things during the day. In this case, testing dozens of new strategies on shorter time-frames. After two years and several thousand live day trades, I have to say that most day trading strategies are a waste of time. Unless you run a forum where you can message thousands to, how shall we say, “provide liquidity” for the moderators on less liquid stocks. Yea, swing trading is much better for the rest of us. A fact even top day traders admit to. However, there are a few day trading technical setups I found work well and I plan to share my #1 day trading strategy with you here. So every earnings season there are dozens of companies that report blow out quarters where they beat by a wide margin and raise guidance. Many try to guess the ones that will report a big blowout but you can only realistically forecast a sizable beat maybe 2 out of 3 times. If you are really good that is. You can get an edge by just playing stocks that have a strong recent history of consistently trouncing estimates and raising guidance but success will vary a lot over time. Most of the time the company will beat by a little bit and the stock will maybe go up a few percent afterwards. Occasionally they will miss and the stock can take a big hit. So, after all is said and done, the profits can be disappointing by trying to guess which company will have a big beat and raise. However, if you play a little-known day trade after an earnings beat that meets all of my qualifications, you can make 3% to 15% within a couple hours with a tight 2.5% stop-loss and a much higher rate of success. And this is WITHOUT risky penny stocks, options or margin involved. Occasionally, these stocks will run 30% to over 100% within a few days. Similar to the potential gains of our explosive bottoming pattern but 3% to 15% profits are very likely to come within an hour or two versus up to a week and a half with the explosive bottoming pattern – another of my favorite strategies on longer time-frames. Now this “earnings eruption” day trade, as I like to call it, is a trading setup that emerges a few times per month on average. Its the best pure day trading setup I have tried by far. And I tried dozens of the top setups taught on-line. This earnings eruption trade is much more reliable than other day trading strategies, much less risky and has big upside. And I have found the average profits are much larger. 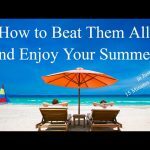 This strategy is a much better way to play big earnings beats for those who want to invest the time to learn it. Below we have most of the first video free so you can begin to learn this top shorter-term trading setup on a simulator. 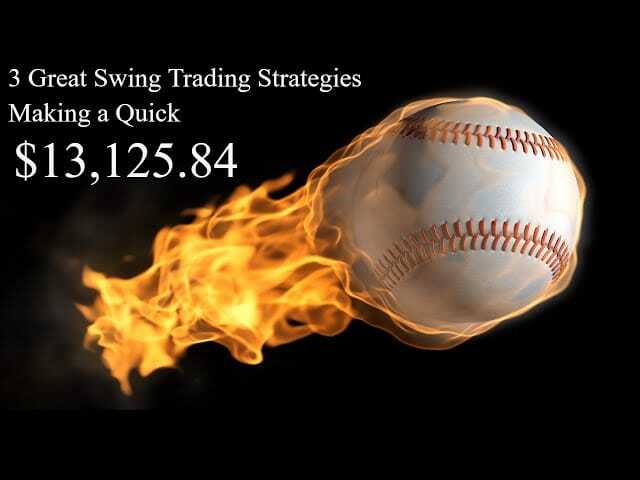 View this video before attempting any day trading strategy. Especially if you want a quick day trading strategy that scales easily to large account sizes yet has a higher win percentage and higher average profit percentage. If you already day trade, you will find this beating your favorite setups with much more reliability when the setup meets all of our qualifications explained in the complete video course. I have been a member for years and love it. You made me a lot of money so far. My credit card on file got stolen and I have a new one now. I left voicemails, emails and no response whatsoever. I just want to update my new card so my subscription does not expire. Markus, we’ll send you an email shortly with instructions to renew your subscription with the new payment info. I would like to speak to someone on the menu of services. Please provide a number to be able to discuss the different levels of services. Michael, we have an updated list now under products on the main menu. You can also email us at info@tradetobefree.com for a quick response. Go ahead and email us there and leave your number or call us at the main number at 919-655-8823. Iam interested in earnings. Stocks pick before earnings. Last quarter we had MELI, WB and many others featured breaking out of strong chart patterns ahead of their earnings release. Some of these soared 30% or more after a big beat. The Daily Alert newsletter will feature these during earnings season which is coming up again.